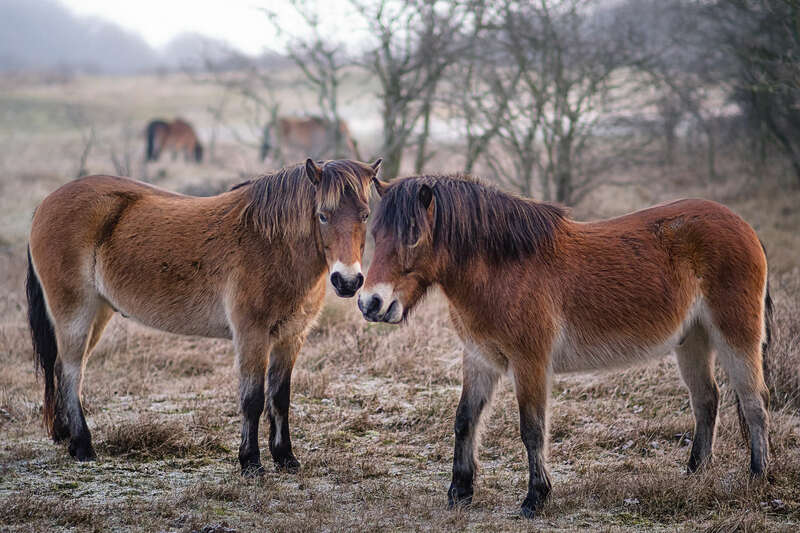 Two young Exmoor pony stallions – frequently engaged in sparring bouts – standing close together on a cold winter morning near Castricum, NL. All quiet on the Western Front, for now. Moments later they started rearing and biting each other in a sparring bout. The stallion on the right is the more dominant one. See rearing exmoor pony stallions.